Love them , worth the money for me . 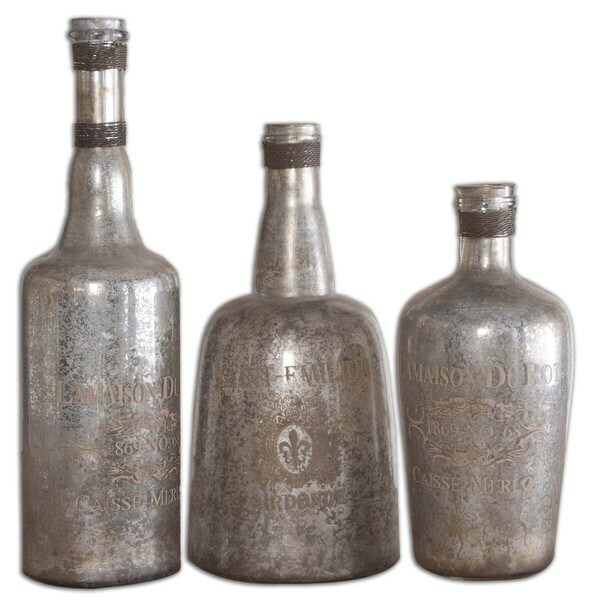 This set of three bottles feature a silver mercury style along with brass wire accents. The bottles range in size from 11 to 15 inches. I have placed these on the right side of my reclaimed wood mantle with a windy tall wood branches in them. They look rich, industrial, and the perfect accent décor for the leather, silver, gray great room. Very nice french apothecary look. I have had these a few years and they go with any decor changes I have made. Matches appearance online, works as well as we hoped with our decor!